With the creepy chill in the Lithuanian-Russian relations, the aftermath of the geopolitical square-off between Moscow and Western powers, the trade, amazingly, has taken the beating until this year quite well. 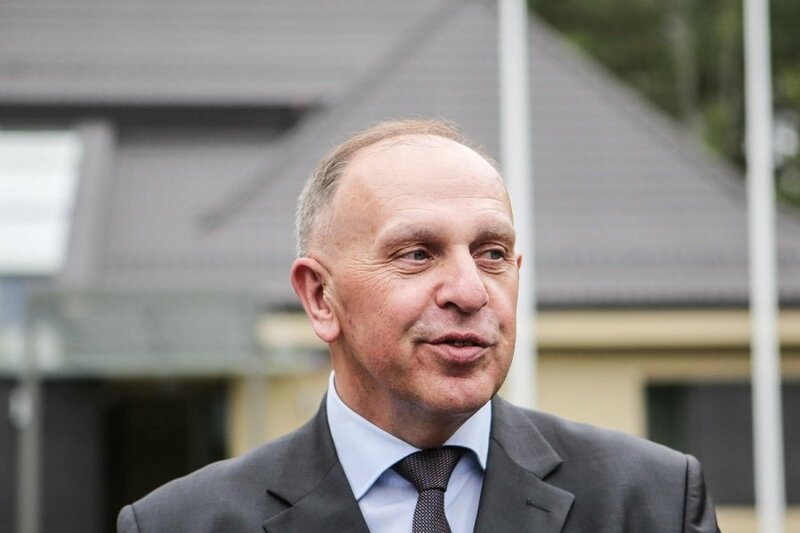 “Quite paradoxically, the scope of Russia-bound Lithuanian export rose throughout 2014, while Russia was already gripped by Western economic sanctions,” Remigijus Motuzas, Lithuania’s ambassador to Russia, tells the Lithuania Tribune. This year, bilateral trade has started taking a hit, however. The Lithuanian Embassy in Moscow nevertheless keeps bustling as visitors are unfazed by the roughed up relations. “Indeed, nearly every day we receive heaps of political, economic, business and cultural errands and instructions. And they come not only from the Lithuanian Ministry of Foreign Affairs, but also from state institutions, NGOs, businesspeople and Lithuanian citizens. The task has been the same: represent the interests of Lithuania the best we can,” says the 58-year-old ambassador who took up the post in Moscow this January. He insists he is not in the position to say why he has been picked for the diplomatic mission at this extraordinary time for the Lithuanian-Russian relations. “Obviously, it is a big honour and onus to carry out the duty,” Motuzas dismisses the question diplomatically. He says he had visited Moscow “many times” in the past and just recently the trips had gotten rarer. “Needless to say, Moscow is a real megacity with around 12 million people. All Russian power institutions are there, as well as many establishments of science, culture, business and finance,” he notes. The half-year in the Russian capital, at the helm of the Embassy, has just been too short a time to fully grasp and describe the city, Motuzas says. “Obviously, I’d need more time in my hands to get better acquainted with the Muscovites’ daily life. But what is happening in Moscow is certainly important to Lithuania. (To understand the developments) I’d encourage Lithuanian journalists to come over here and stay for a longer time to see with their own eyes how the city lives,” the ambassador suggests. He admits though that both countries have been through “a hard time” in their relations, a result of the Crimean annexation by Russia in 2014 and the Russia-instigated warfare in eastern Ukraine. “The period is definitely complicated both to the West and Russia. But Lithuania and Russia are neighbours, so, inevitably, there are many issues that both sides need to discuss and talk about, cooperate and find solutions,” Motuzas underscores. On the brighter side of the otherwise sour liaisons, he notes ongoing tourism and cultural exchange, as well as the consistent relations with the Lithuanian community in Russia. “Despite all the challenges, the simplified Kaliningrad transit system still runs smooth and both states comprehend the importance of cherishing the historic remembrance,” diplomat said. One of the most vivid trips Motuzas has lately had was to the Kaluga Region, located 150 kilometres south west of Moscow. “Our embassy representatives took there a group of Lithuanian businesspeople, including from companies like Litbioma, Enerstena, Lietuvos geležinkeliai (Lithuanian railways), and Linava, all of whom are interested in collaboration with the region. We’ve had quite interesting meetings with Kaluga Governor Anatoly Artamanov and other high-ranking officials,” the ambassador says. To his surprise, the governor started off the meeting with revelation that Algirdas, a 14-century Grand Duke of Lithuania, mentioned Kaluga as a trade partner in his letter of 1371. “The year is taken as the founding of Kaluga City,” Artamanov said, noting that Kaluga is often being compared to Lithuania due to similarities of landscape and robustness of business. The Lithuanian delegation also paid a visit to “Freight Village Vorsino” and “Rosva” industrial parks and even stopped by Konstantinas Ciolkovski Museum of History of Cosmonautics. “With the historic ties we definitely have to look for common interests and aim for closer economic and cultural cooperation, even in the current political backdrop,” the ambassador insists. When thinking back of the brightest recent meetings with Russian officials, he also recalls a gathering of Moscow-based EU ambassadors and legislators from Russian Duma’s Foreign Affairs Committee. “We had an open exchange of opinions over the situation in Ukraine and the current status of the EU-Russia relations. The emphasis was on the military conflict in eastern Ukraine - that it cannot compromise Ukraine’s independence,” the ambassador relates. Trade figures reveal how close Lithuania and Russia still are. Russia-bound export in the embargo-hit year of 2014 amounted to 5 billion euro, slightly surpassing the respective figure from the crisis-free year before, at 4.9 billion euro in 2013. But the year 2015 has been off to a poor start – 972 million euro in Lithuanian exports to Russia between January and April. “If the situation remains as it is, the Lithuanian export volume will not be anywhere near last year’s,” the ambassador notes. Russian imports to Lithuania has also spiralled down - from 7.4 billion euro in 2013 to 5.7 billion euro last year, and the value of Russian commodities amounted to mere 1.3 billion euro between January and April this year. Stalling trade reflects Russia's woes lately, Motuzas says. The Russian economy, he points out, has been hit by drastic cuts in foreign imports, a retaliatory measure, the weakening national currency, rouble, and, subsequently, falling domestic consumption. “The situation is not obviously in favour of Lithuanian exporters, also in view of the fact that Russia strives now to import only the most necessary commodities,” the ambassador says. With the politics sour and trade edging down, the flow of Russian visitors to Lithuania has also petered out considerably. “In 2013, 63,954 visas were issued to Russian citizens and we are seeing around 25-30 percent decline in the consular services this year. In May this year, the fall was 26 percent, for example,” Motuzas said. Other Schengen-zone embassies in Moscow see a similar trend, he insists. Not only are the political tensions to blame for it, however. “We started issuing more multiple Schengen visas to honest visa seekers. Visas of this type make up around 57 percent of all the visas issued by our embassy lately,” the ambassador says. Besides, some Russians visiting Lithuania obtain visas in other Schengen states’ embassies. Amid the tensions, cultural diplomacy is one of the top priorities of Lithuanian foreign policies, says Motuzas. “Indeed, Lithuania has organized many cultural events in Russia and the number is rising. Here in Moscow we are very well known for our musicians, singers, artists, theatre directors and actors. Russian audiences are keen on Lithuanian culture and earnestly attend concerts, exhibitions and all events spearheaded by our embassy,” the ambassador says. A few months ago, Motuzas recalls, the Moscow-based literart journal Inostrannaja literatura, for the first time, dedicated an entire issue to Lithuanian literature. “The edition was called 'Lithuania: dispersed and put together'. It’s good to know that the magazine has introduced contemporary and past Lithuanian authors so widely and in a representative fashion to the Russian public, especially that it did so without bypassing our history,” Motuzas said. He believes, though, that it will take “quite some time” to get the two countries’ relations back on track. In the light of dimmer trade prospects, a significant part of Lithuanian entrepreneurs, he says, is on a lookout for new markets. 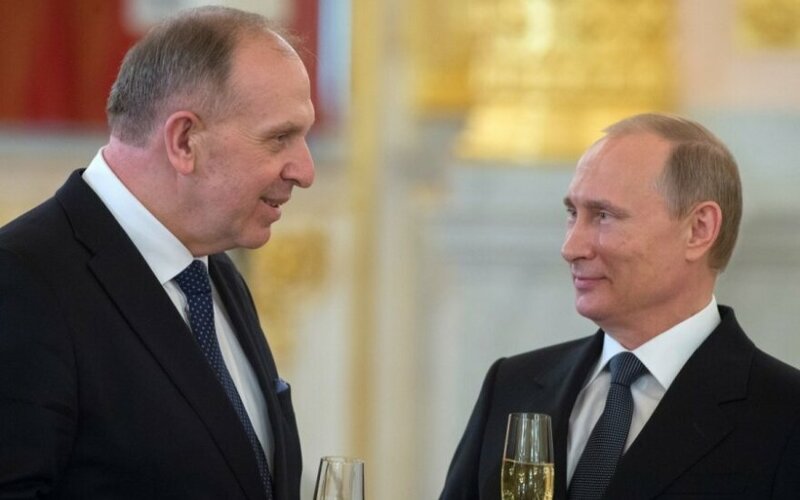 After heading the 16-diplomat Embassy, which makes it one of the largest of Lithuanian foreign diplomatic representations, Motuzas often gets together with Vygaudas Ušackas, the EU ambassador to Russia. „Indeed, we see each other quite often in different formats. Especially as we both originally come from the same Lithuanian town, Skuodas,” Motuzas says. Recalling the meeting with Russian President Vladimir Putin during which he presented his diplomatic credentials, he said the meeting was “useful and constructive” and fully in accordance with the requirements of protocol and the existing diplomatic practice. “All 12 ambassadors who took part in the ceremony along with me saw it in a positive light. 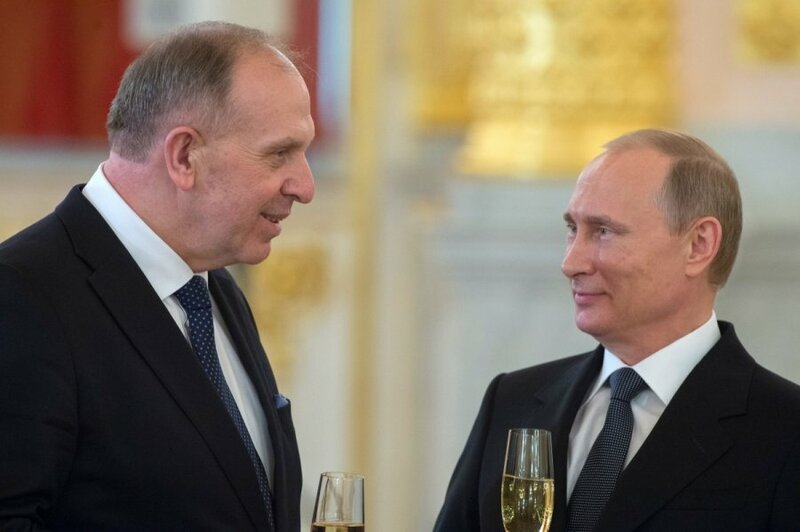 Both President Vladimir Putin and Russian Foreign Minister Sergey Lavrov seemed open to dialogue - to talk and hear out Lithuania’s position,” Lithuania’s ambassador to Russia says.